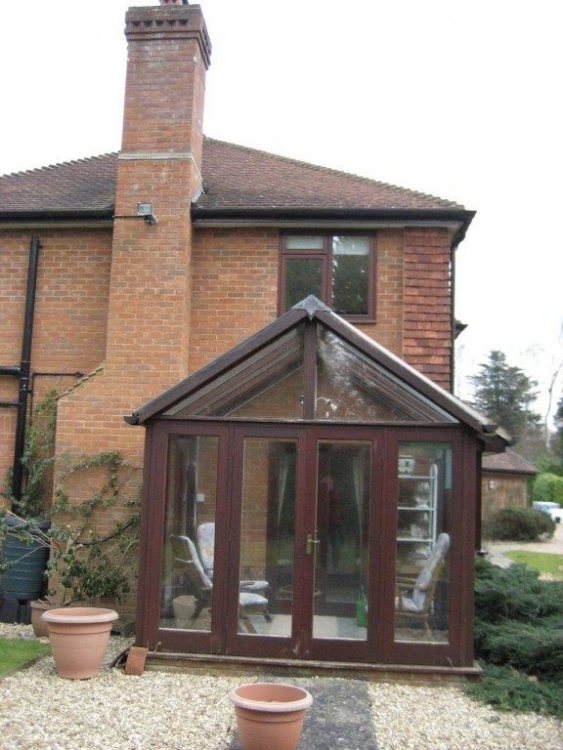 Mr & Mrs Austin’s brief was to replace an existing smaller wood conservatory with a larger fully glazed oak conservatory. 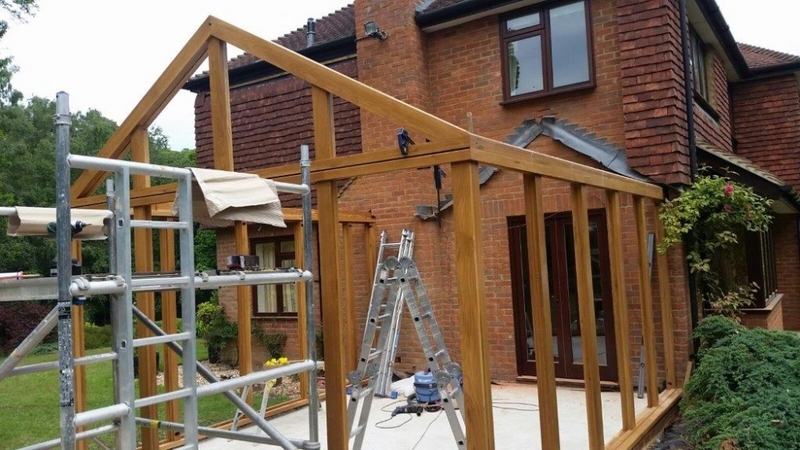 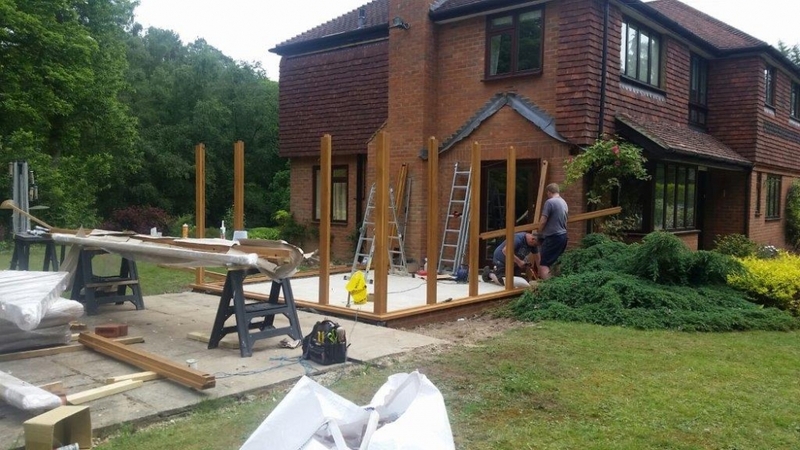 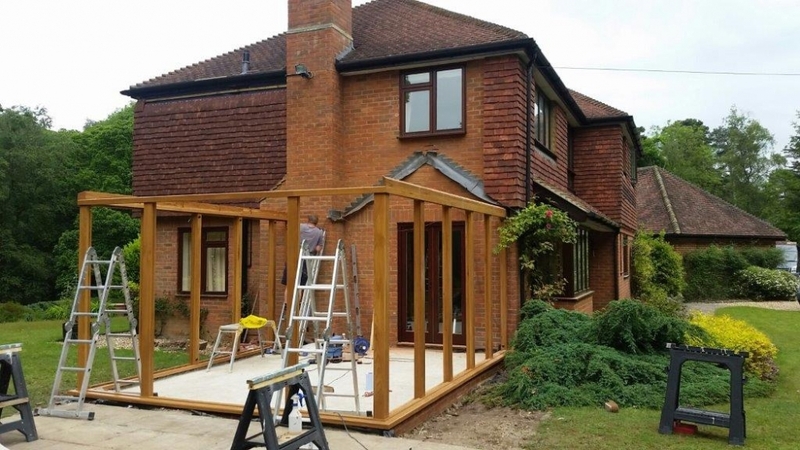 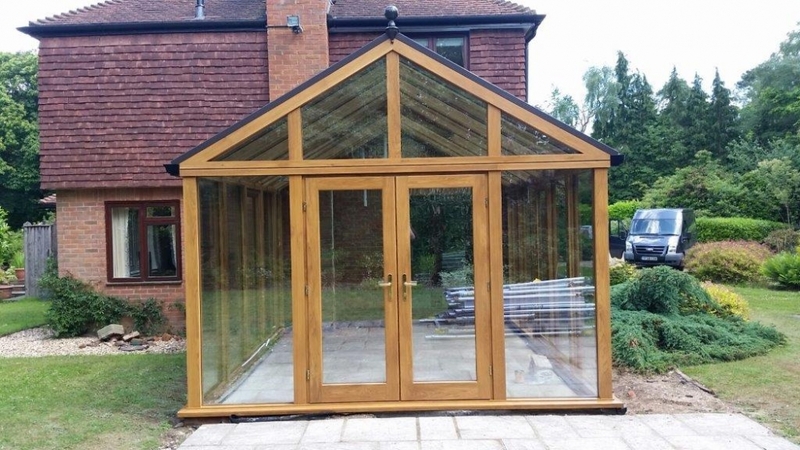 They had recently had a ‘green oak’ garage installed by a local carpenter and they invited him to price for the conservatory. 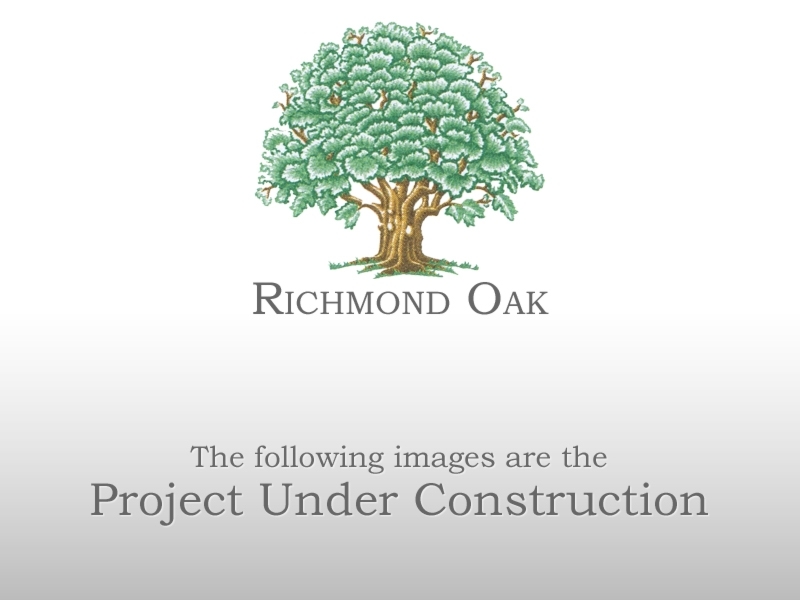 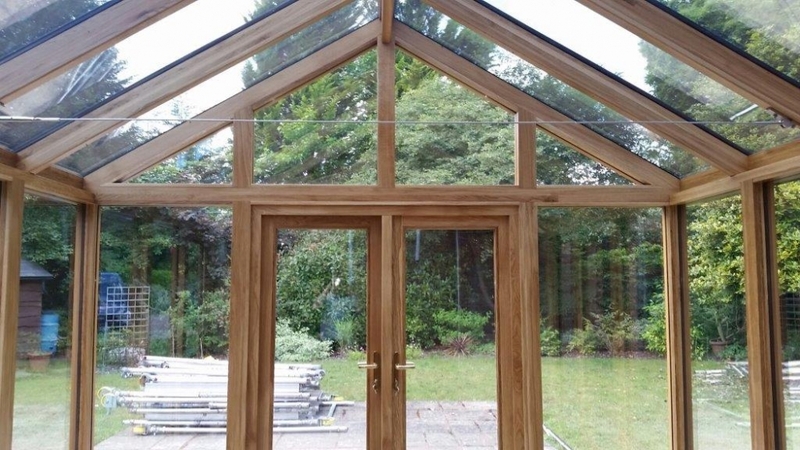 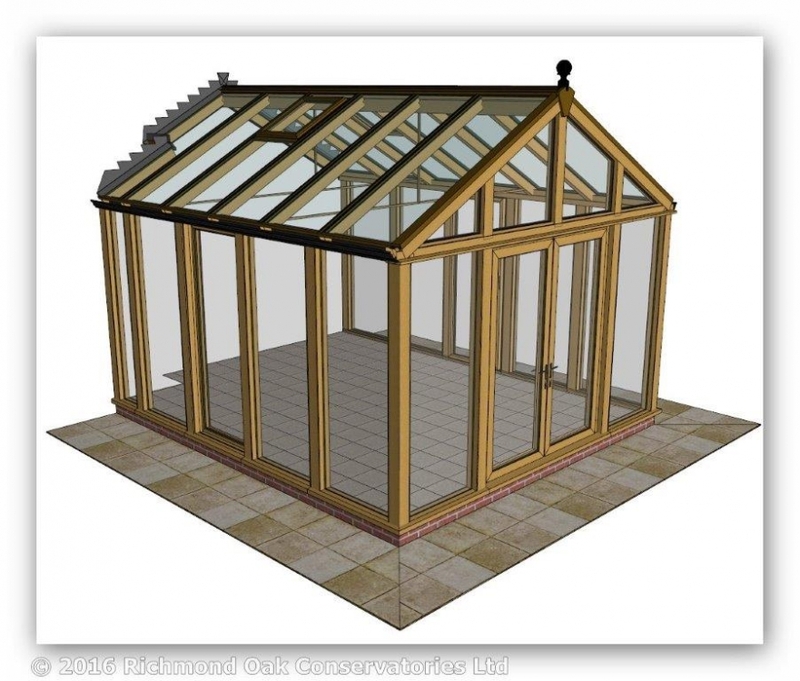 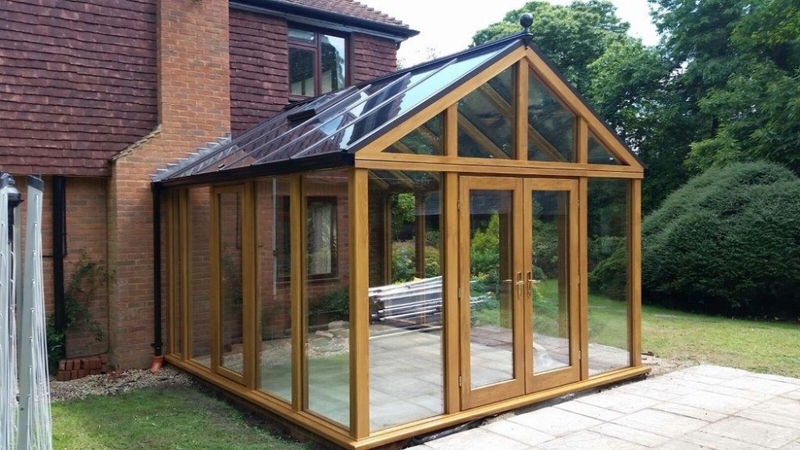 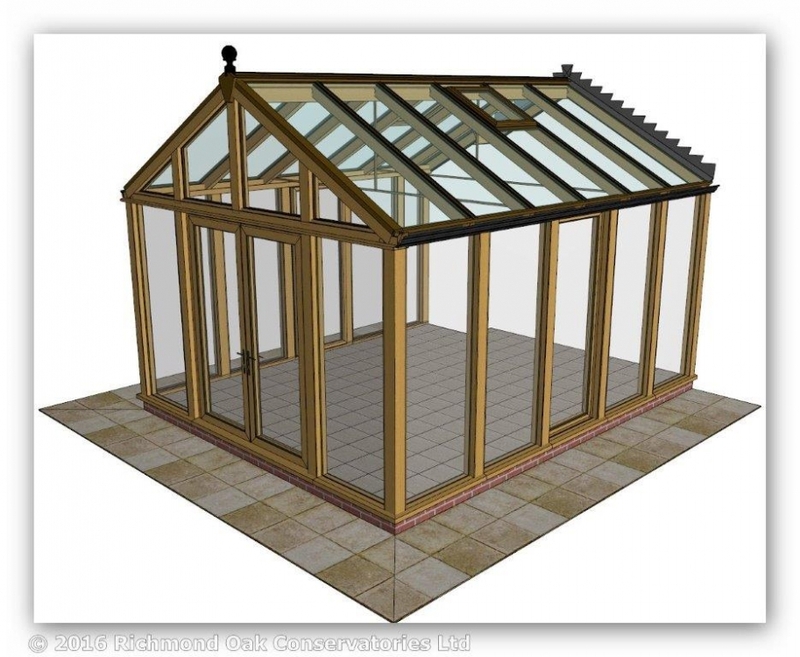 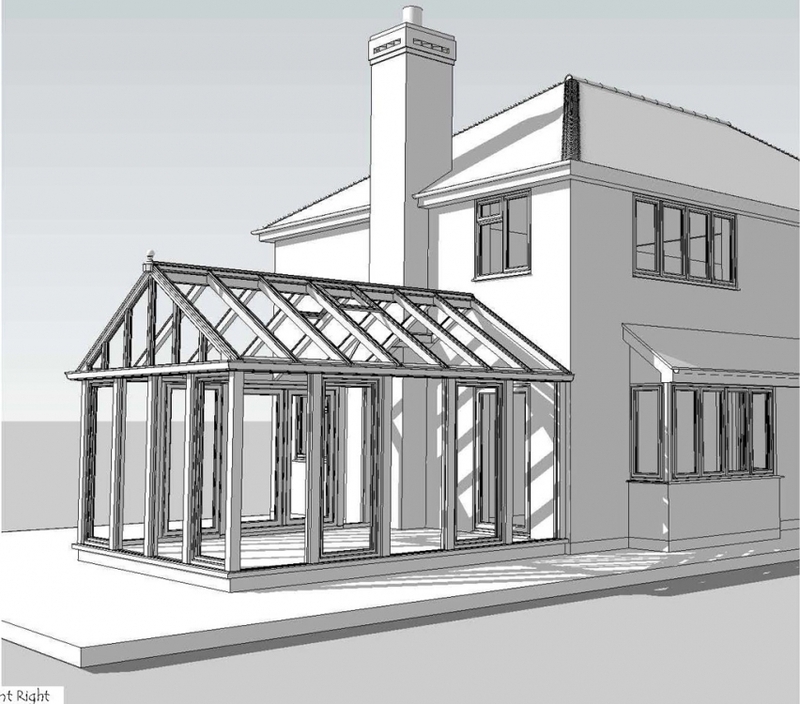 However, he declined, on the basis that it would be unwise to glaze into green oak and recommended they seek the advice of an oak conservatory specialist company. 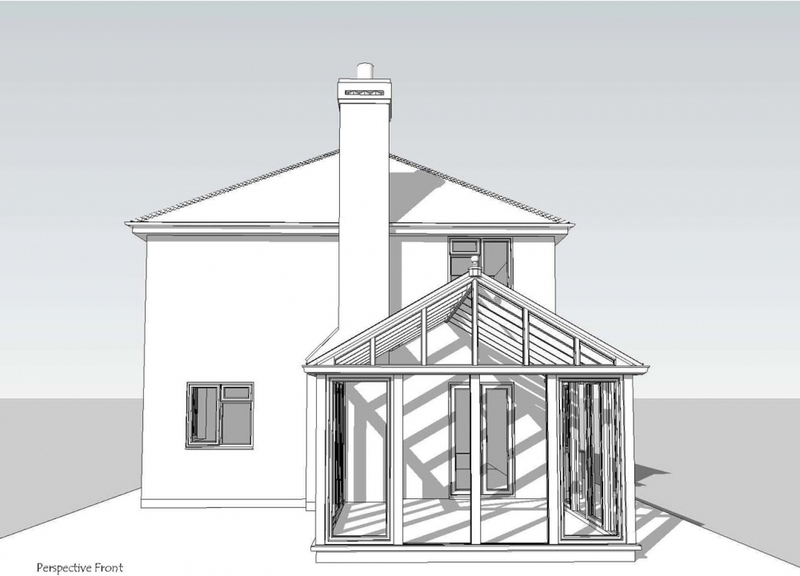 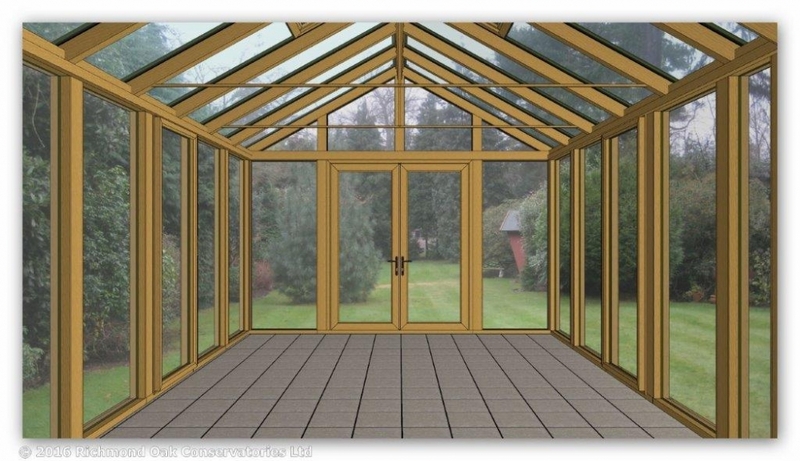 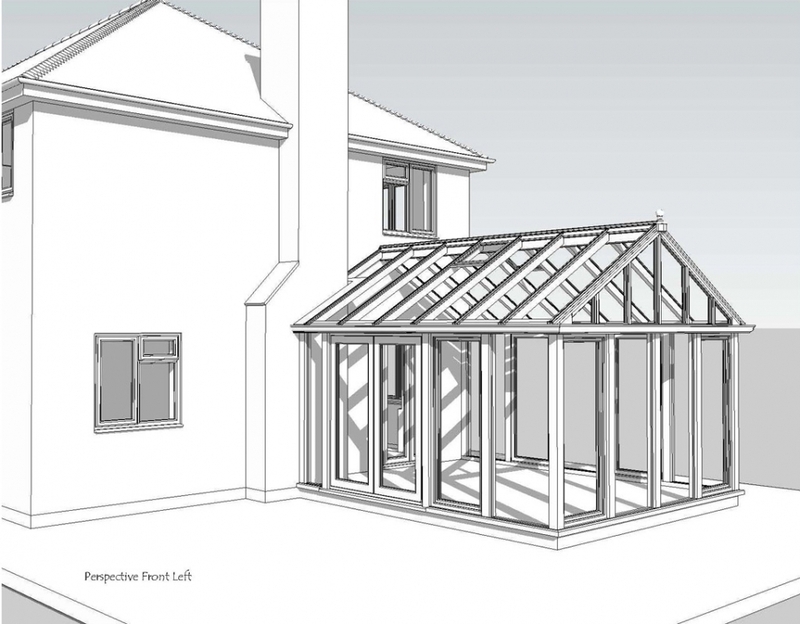 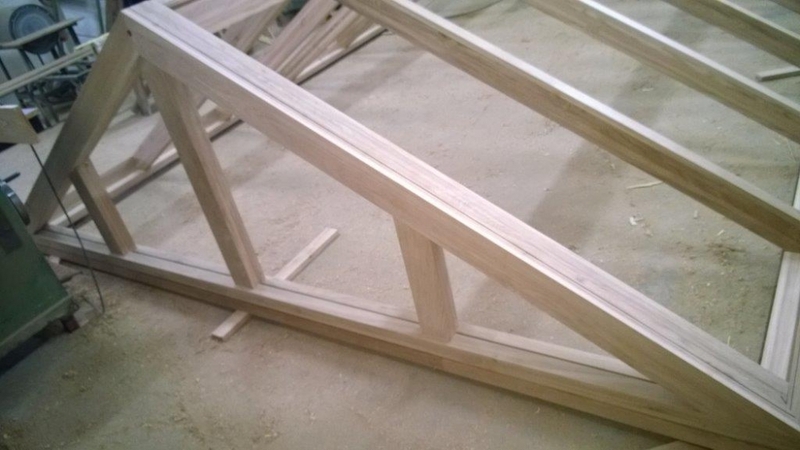 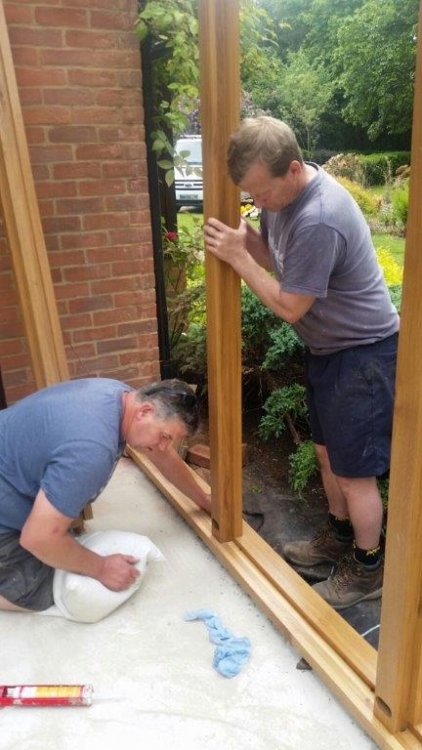 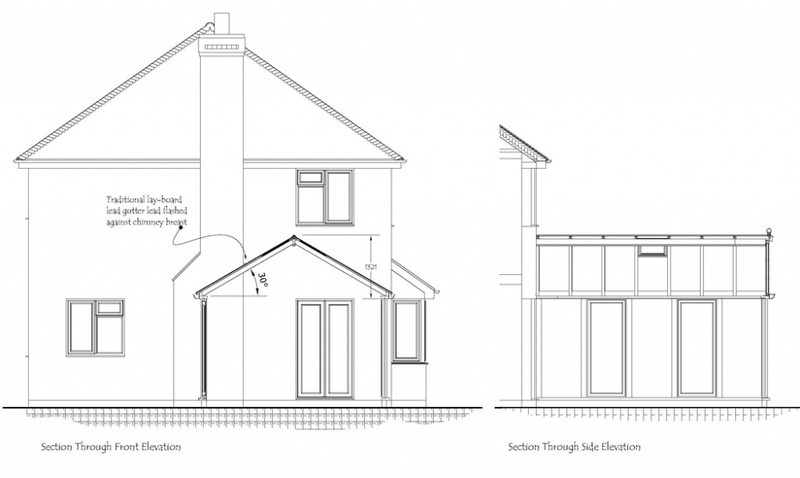 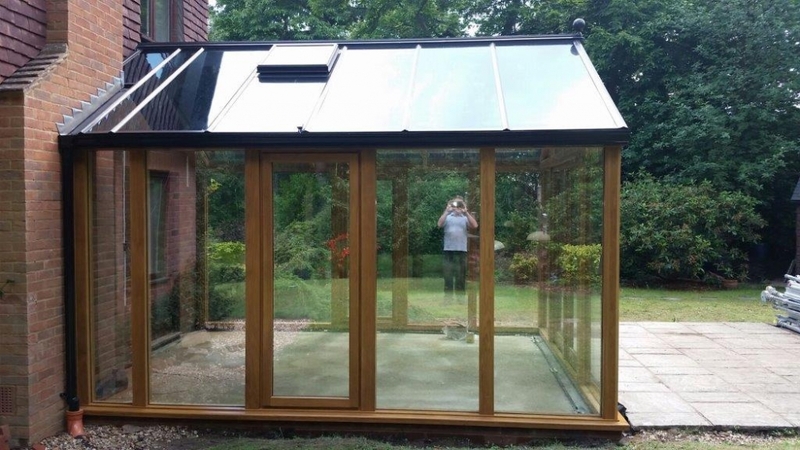 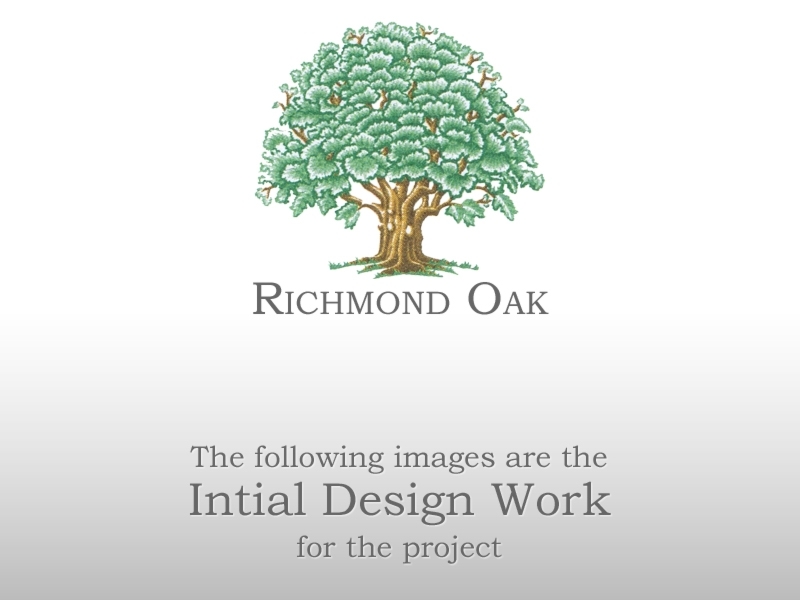 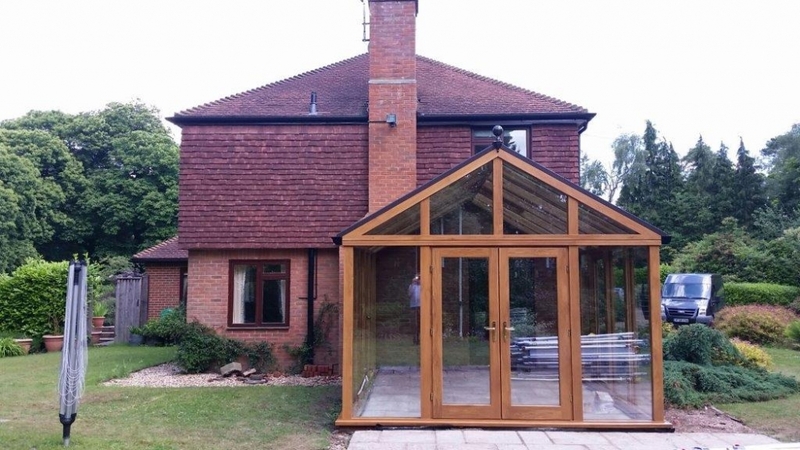 When our designer first discussed the project with Mr & Mrs Austin, it quickly became apparent that our patented, direct glaze, seasoned oak, Contemporary Conservatory range would be the most suitable. 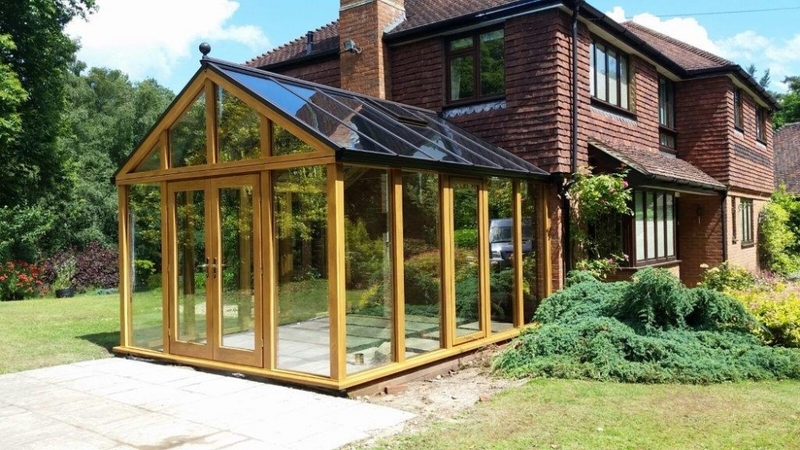 To ensure that the conservatory would be usable all the year around, we recommended Celcius Elite, soft blue tint, solar control glass in the roof. 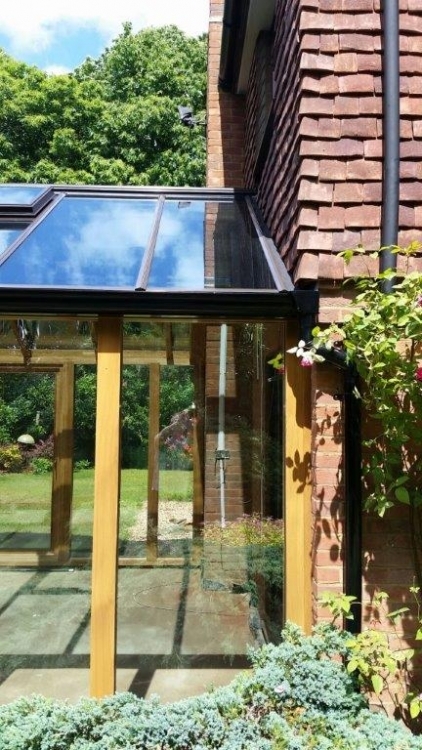 At the time of writing, this is the highest performing conservatory roof glass in the industry, keeping out 83% of the heat on a hot day and with a 0.9 u-value, being 10-25% more efficient in keeping the heat in on a cold day, better than any other roof glazing available. 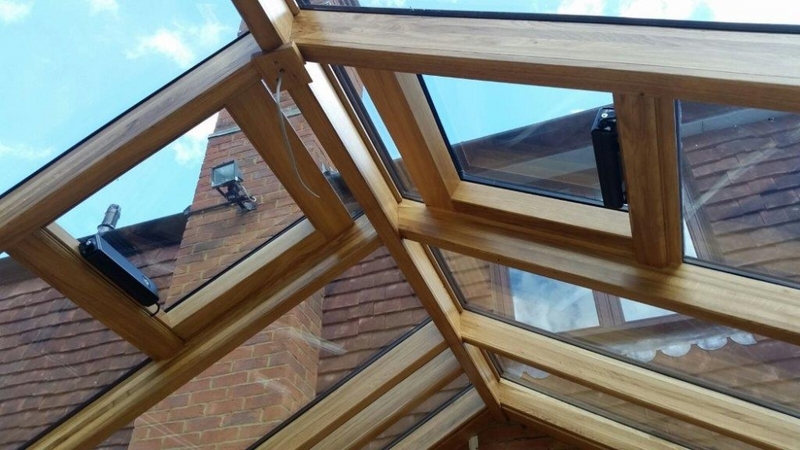 For the frames we recommended Celcius Clear. 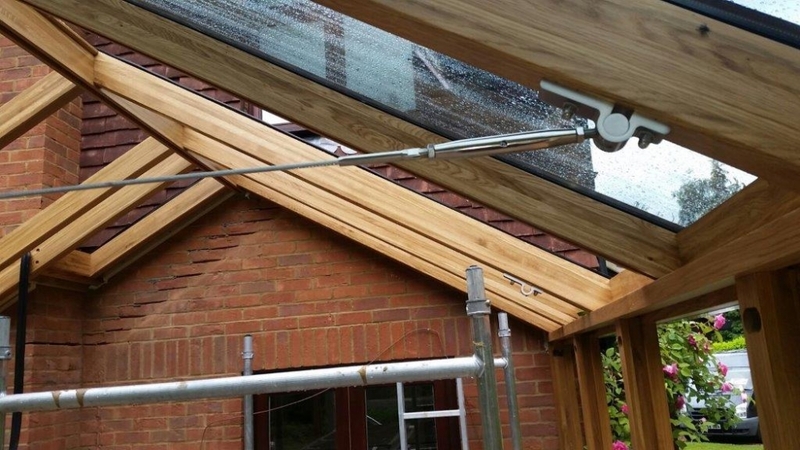 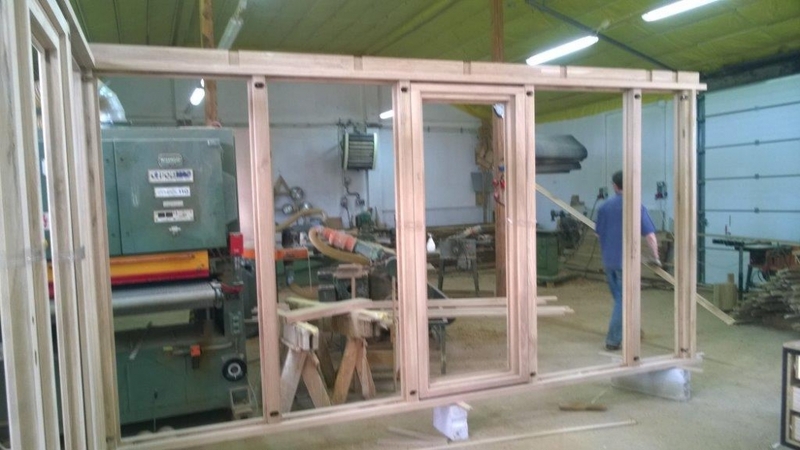 To keep from breaking the vertical lines in the frames, we supplied full height opening window sashes, fitted with heavy duty hinges. 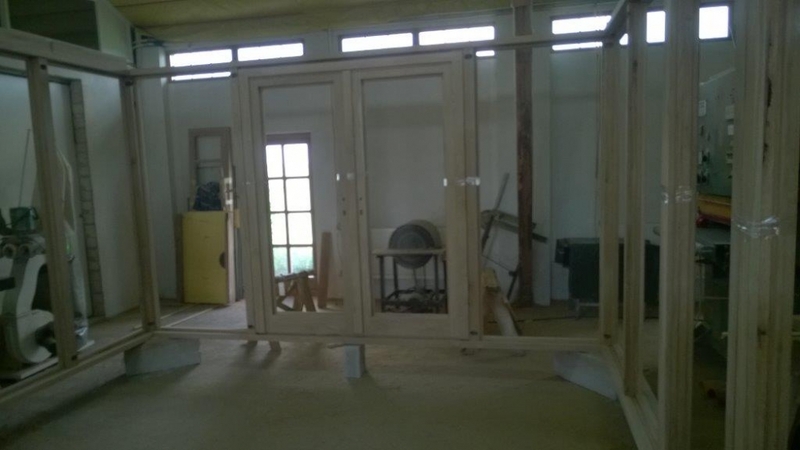 In the final design, the doors were moved from the side to the front. 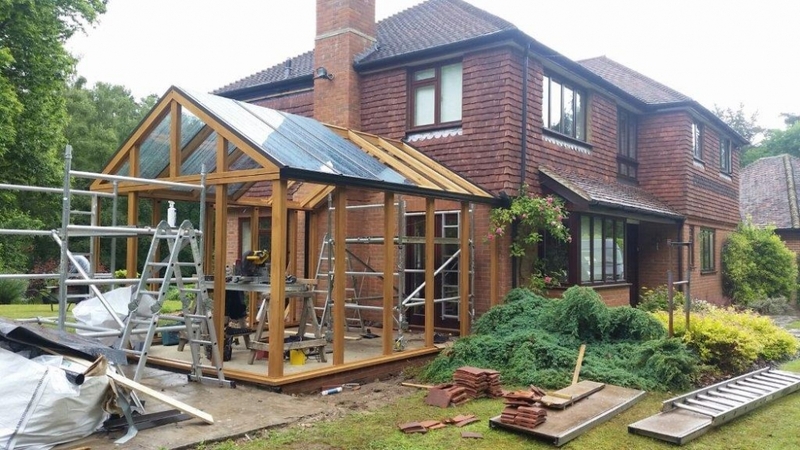 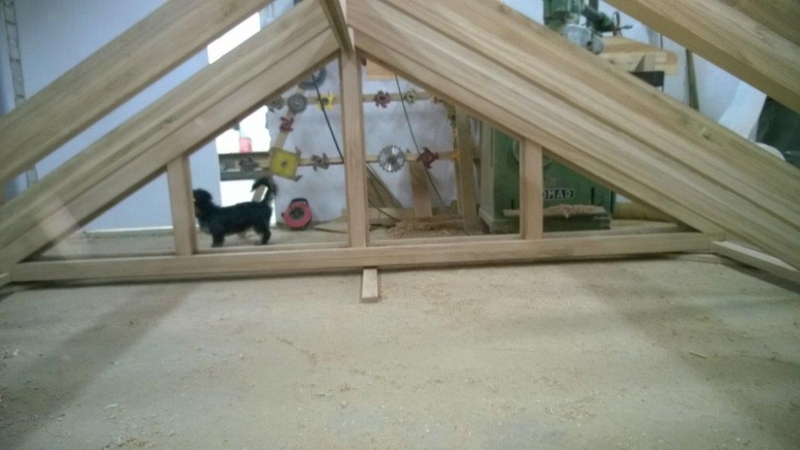 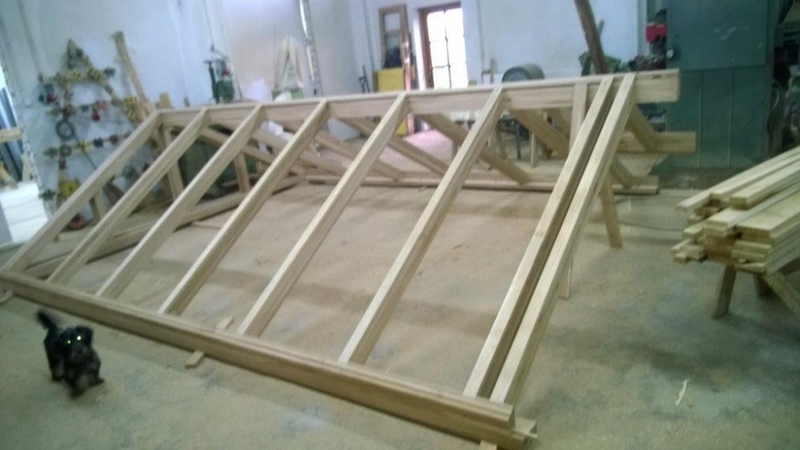 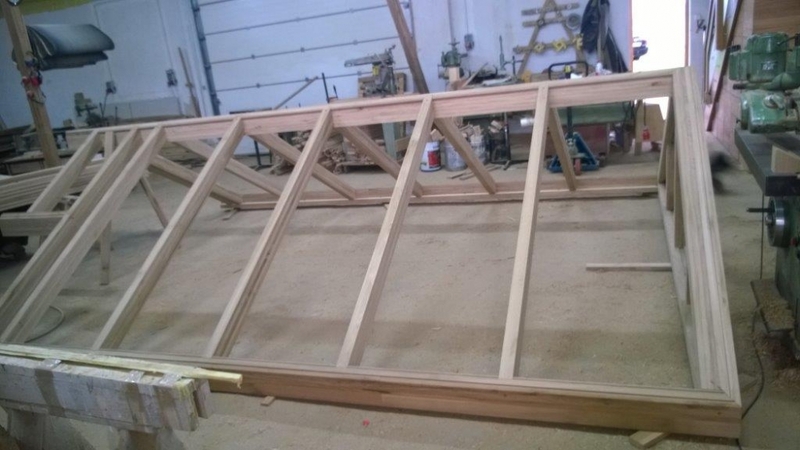 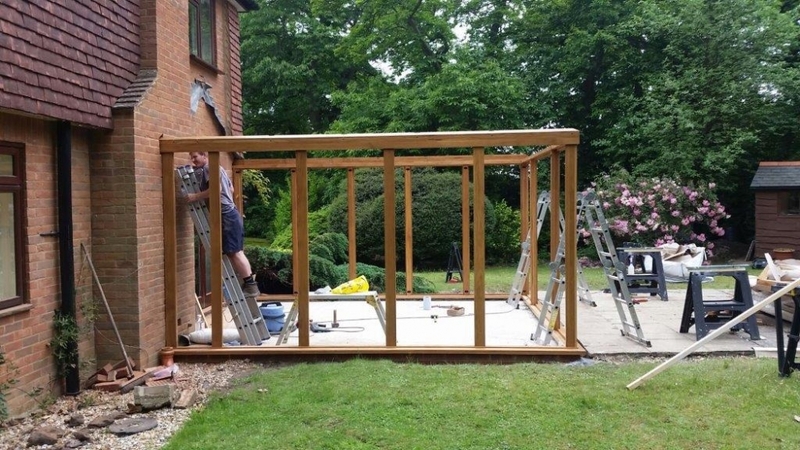 The accompanying photos were taken the day the erection of the frames were completed and the subsequent sections show the production of the conservatory from the design stage, through to the production and erection of the frames.